Here are some photographs of Addiewell and Loganlea teams from the old days. If you can identify any of the teams, or the players, then let us know. And if you can add more photos, and more information, be sure and upload them, or get in touch. Loganlea Amateurs in the mid-1940s. 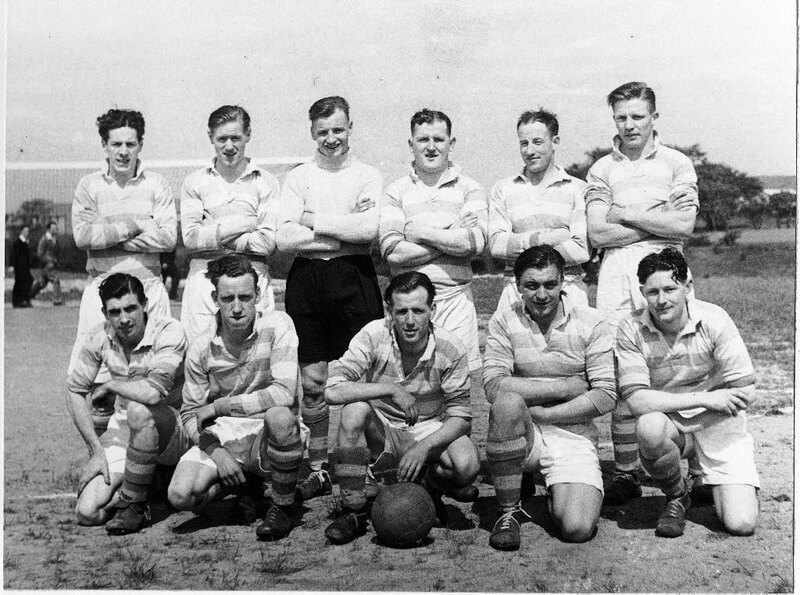 The back row includes (L-R): John Smith, Bert Allan (goalkeeper), Tiny McGuire, Alex Anderson, Bob Lamb. 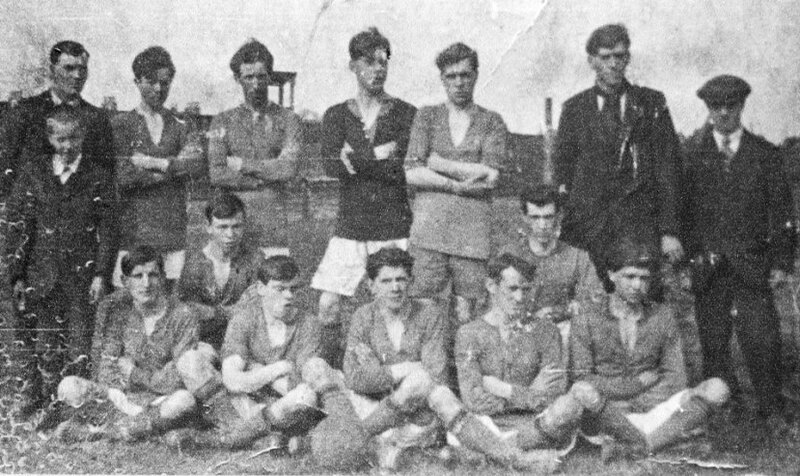 The middle row includes James Hervey and Jock Dixon. 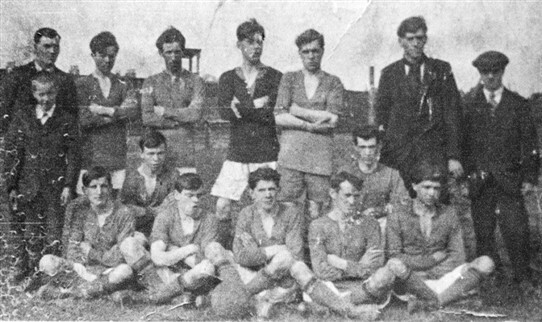 The men kneeling in front include Bob Allan, Lawrie Fallon and Isaac McGinty. West Lothian Courier, via Mrs Mary Wilson. 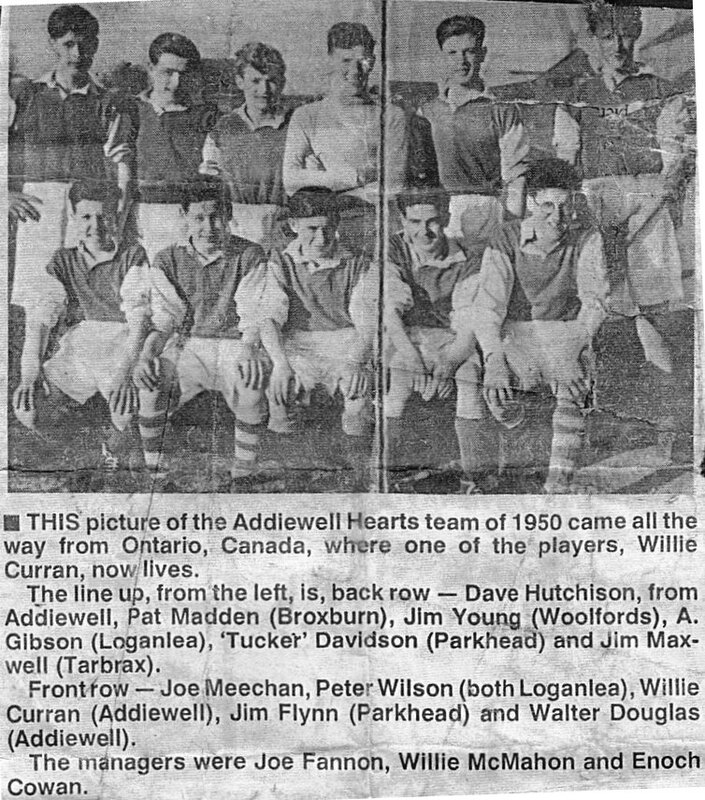 Addiewell Hearts football team of 1950. Courier photo, via Mrs Mary Wilson. St Aloysius football team, Addiewell, 1920s. The goalkeeper is John Kelly, father of John Kelly who collected so many old photos of Addiewell and Loganlea. John Kelly. All rights reserved. S1. 153. John Kelly. All rights reserved. S1. 101. 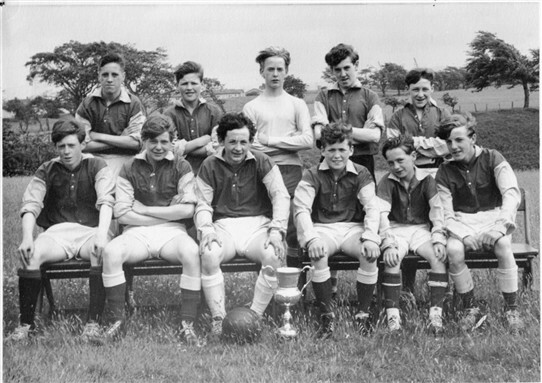 Loganlea Miners' Welfare Club youth football team, early 1960s. Back row, L-R: J. Lavery, H. Cameron, W. Forsyth, J. Rafferty, R. Burnet. Front, L-R: J. O'Hara, H. Campbell, J. McAuley, Hugh Kelly (captain), D. Size, P. McKenna. John Kelly. All rights reserved. S1. 202. 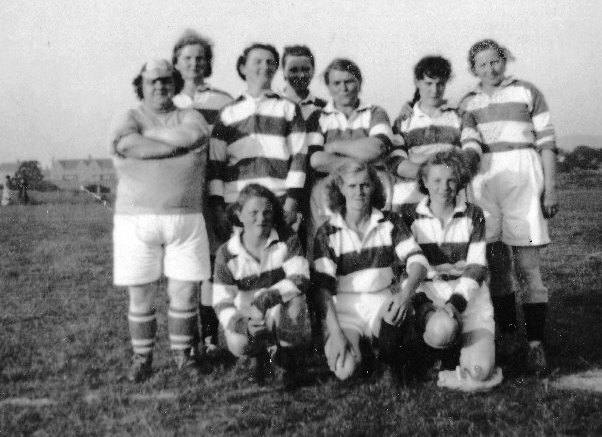 A Stoneyburn ladies' football team at Loganlea Gala Day, 1940s/50s? 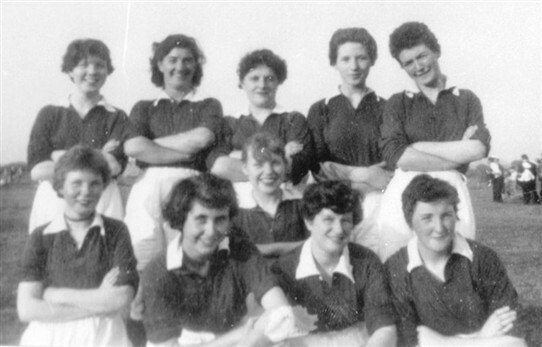 Ladies' football team, Loganlea, at a gala day, 1960s. Back Row, L-R: M. Darcy, unknown, A. Steele, R. Young, C. Toner (now lives in Cincinnati, Ohio). Front L-R: H. Darcy, M. Johnston, R. Yeardley, M. Steele, M. Kelly. Thanks to Catherine Alleyne, Billy Kane and Anne Cassidy Hamilton for this information. John Kelly. All rights reserved. S1. 224. I went to school at St. Thomas' with most of the players in the 1960's team.